Gevalia Majestic Roast CoffeeA jolt of energy makes most of us instantly happier, but coffee could have long term effects on our mood. 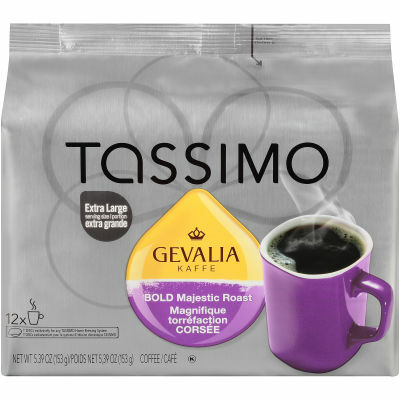 Kraft brings one of the most beloved coffees in the world, Tassimo Majestic Roast Coffee contains natural Arabica beans that are most popular beans all around the world, producing more aroma and flavor when roasted and brewed.Delectable and Classic!Coffee won't magically give you extra IQ points. But the stimulant can make help your brain be more efficient with its resources it could only be called Majestic. When you brews a rich and creamy cup with a silky finish that leaves a satisfying aftertaste and is gentle on your palette.